The Sig M11-A1 is a beautiful pistol. 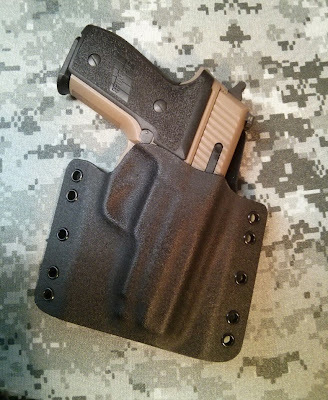 Created from a combination of the new-style Sig P229 slide and the P228 frame, the M11-A1 is hard to find proper kydex holsters for due to it's unique dimensions. 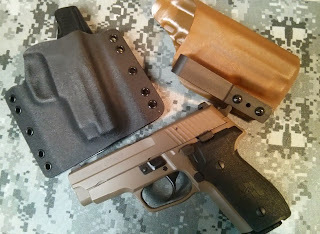 At Statureman Custom holsters we have made kydex modular and AIWB holsters for this pistol for a while and will continue to do so. 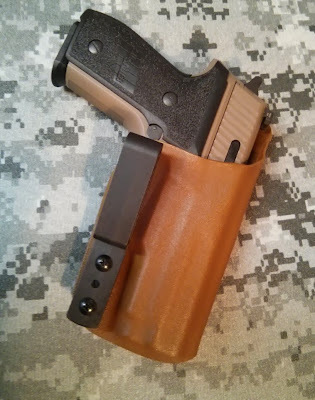 To browse the holster options See links at right under Holsters.